Please feel free to view image uncompressed. Just wish you could see at 1600 at the long end. David, Looks really nice uncompressed and it's an interesting subject. I'm beginning to delve in macro, but I do not think I'm a natural. Beautiful lichens, lots of nice detail in the main cluster. Oh, my- so interesting and well done. I'm not sure it's to die for though! . Hope you have recovered and can move on for more exciting alien-looking creations. I'd be happy with "lichen" for i.d. 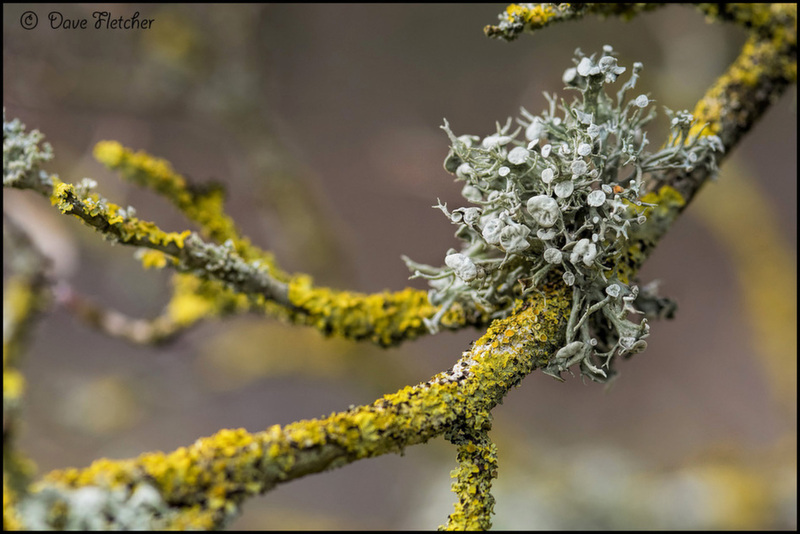 Got to love lichens in their many forms and this is beautifully done, Dave! I love your composition and great use of selective focus. Well done! Brilliant detail on the main cluster, Dave! And I love the composition! Well done!